ThunderShirt's patented design applies a gentle, constant pressure that has a dramatic calming effect for over 80% of dogs. 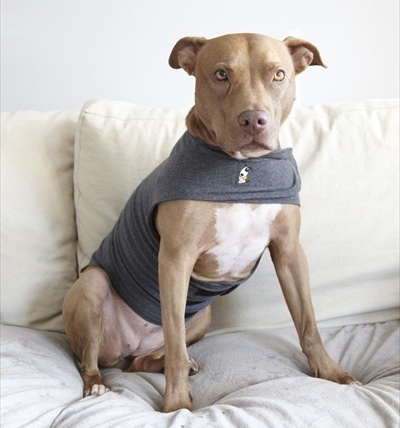 Like swaddling an infant, Thundershirt is recommended by thousands of veterinarians and trainers around the world. Use for thunder, fireworks, separation anxiety, car travel, problem barking, general fearfulness, reactivity, and much, much more. A positive tool that almost all dogs seem to love to wear. With no need for training or medications, most dogs respond positively within minutes of the first use. Very easy to put on and take off. Made of lightweight, machine-washable material. We offer the following Thundershirt guarantee: A customer may return the product within 45 days for a full refund on the retail price.